Only a few eruptions have been recorded from Ibu in historical time, the first was a small explosive eruption from the summit crater in 1911. An eruption producing a lava dome that eventually covered much of the floor of the inner summit crater began in December 1998. Explosive activity continues. 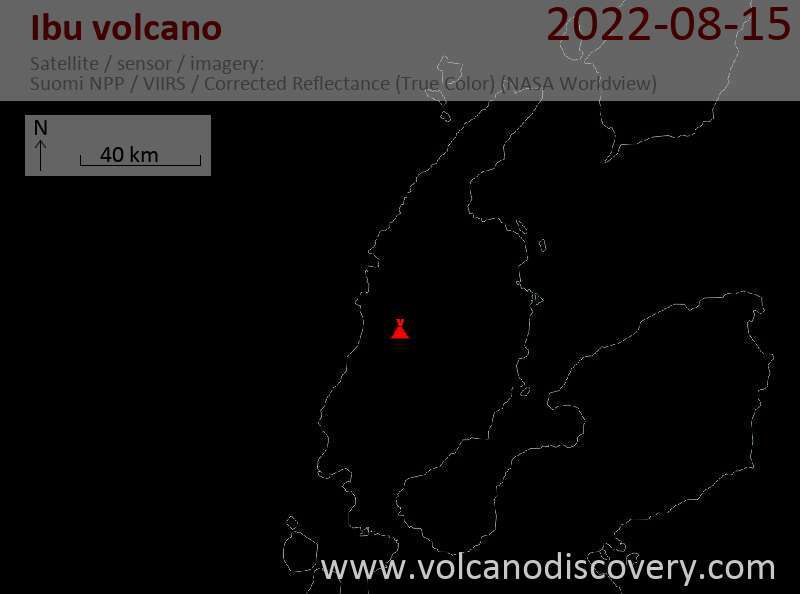 Volcanic Ash Advisory Center (VAAC) Wellington warned about a volcanic ash plume that rose up to estimated 8000 ft (2400 m) altitude or flight level 080 and is moving at 5 kts in NE direction. RMK: DISCRETE ERUPTION OBS ON RGB SAT IMAGERY MOVING TO NE. VA EXPECTED TO CONTINUE TO NE AND DISSIPATE WITHIN 3 HOURS. IMAGERY, MENADO 22/1200Z SOUNDING AND MODEL GUIDANCE.